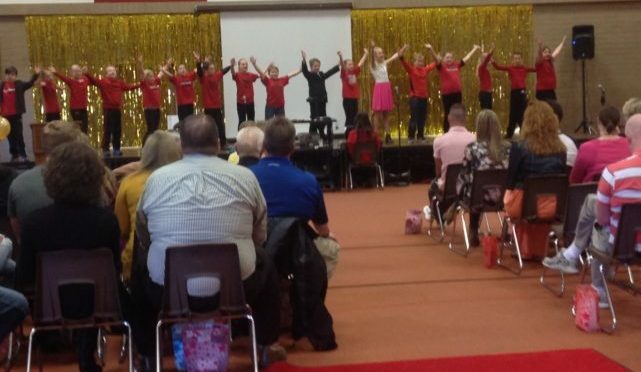 Manti Elementary students perform for guests during the school’s recent Leadership Day. MANTI—As the only Leader in Me school in Central Utah, Manti Elementary is unique, and it’s a difference that’s starting to show. A Franklin Covey Education program, The Leader in Me, is a school program based on “The 7 Habits of Highly Effective People” distilled into child-friendly principles that teach leadership and life skills. Currently, there are 3,064 Leader in Me schools across the world. 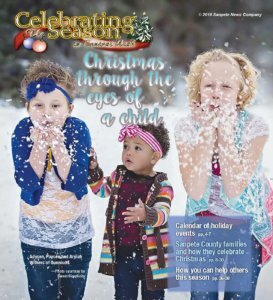 The program has been remarkably successful since it was adopted at Manti Elementary three years ago, according to Principal Karen Soper. “When I became principal, I wanted to find something to move our school to a more student-centered focus,” she said. Soper tried a couple of other programs but found they had lacked an academic emphasis before she came across the Leader in Me program. “I was impressed with how it teaches kids to be leaders and to have a respect for learning,” she said. At Manti Elementary every student has a leadership role of some kind, ranging from flag leaders to morning announcers to hall monitors and even to bathroom leaders who make sure the bathrooms are kept clean. “Every child is willing to do a job,” Soper said. Positions are filled through an application and interview process which gives students real-life experience and self-confidence. “Through this program, the students are starting to find their genius, find their voice,” Soper said. Last Wednesday, March 15, students got to show some special guests just what it’s like at a Leader in Me school at their annual Leadership Day. From the greeters at the door to the registrars to the presenters, performers, light and sound crews—everyone who interacted with the guests in any way was a student. The students based the event on an Academy Awards theme. Guests walked a red carpet, received swag bags, were directed to their seats by ushers where they enjoyed the premiere of a student-produced video which outlined the Seven Habits of Happy Kids and awarded each habit an Oscar-like trophy. The guests, who included city council members, district administrators, principals and teachers from schools in Kamas, Tooele, Ogden, Logan, Roy, Milford, North Sanpete and even Nevada, were impressed. One feature at the school that shows just what students are learning regarding empathy is the Buddy Bench where students sit if they have no one to play with. Since all students are trained to include others and to keep an eye on the bench, no one sits there very long. The Leader in Me is not a free program. Implementation costs vary, depending on the number of students and staff at a school. Average costs are $40 to $50 per student for each of the first three years which drops to $14 to $19 per student beyond the third year. Initially, Soper applied for and got a grant of $20,000 from the state legislature to implement the program in her school. She later became aware of, applied for and received a $40,000 Panda Express grant which will fund the program through its fifth year. Soper said the school’s community council wants The Leader in Me to be in Manti Elementary “forever.” As such, they and Soper are committed to seeking out whatever grants or funds necessary to make that a reality, she said. The Seven Habits of Happy Kids.